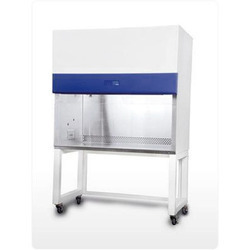 Laminar Airflow We offer a wide range of Laminar Airflow Benches/ Horizontal & Vertical Clean Bench, which are extensively used in industries like Electronics, Bio tech, Precision Incubation, Pharmacy to provide clean work environment. Better sun mica, plywood duly varnished, painted excellent wooden & castor wheel for easy movement. In order to attain the maximum satisfaction of our valued clients, we are engaged in offering Biohazard Bags. Our offered biohazard bag is widely appreciated among our clients for protecting the nature from garbage. 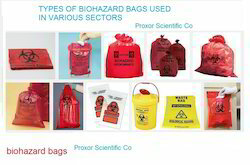 We are offering this biohazard bag on various sizes & colors as per the client's requisites. Our offered bags are widely demanded by health and medical institutions for storing biodegradable waste. We are known for providing quality assured & highly demanded Laminar Air Flow Service to our valuable customers. Our services are authenticated as per the industrial quality standard. These are executed by the team of our highly skilled professionals using advanced equipments. These services are available at very reasonable range of prices in the market. We are renowned as the leading manufacturer, exporter, importer, supplier and trader of Horizontal Laminar Air Flow Unit. Our offered systems are widely demanded in various hospitals, electronic industry and others. These air flow units are manufactured by utilizing superior quality material and leading techniques, under the guideline of our experts. The offered air flow units have HEPA/ULPA filter, which moves horizontally across the work area. 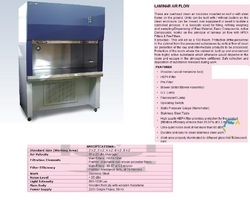 With our rich industry experience in this domain, we are introducing a comprehensive assortment of Laminar Air Flow Bench. Our offered air flow bench is accessible in different stipulations as per the needs of the patrons. Offered air flow bench is developed at our premises utilizing quality tested material, in conformity with set industrial norms. Due to continuous flushing of the working area by unidirectional and HEPA filtered airflow, the Airflow Benches equipment assures a full product protection.